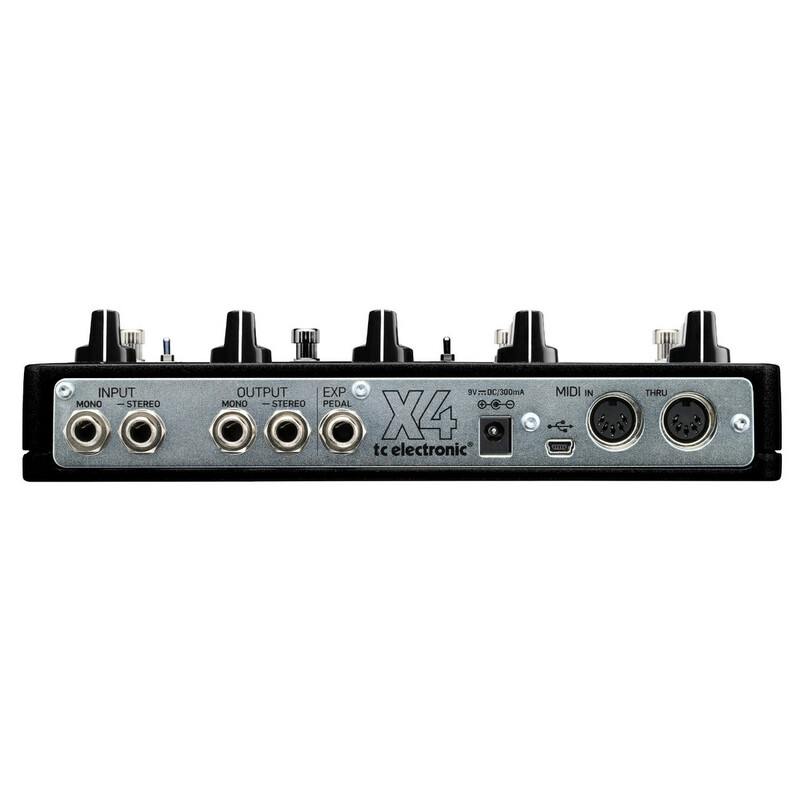 The TC Electronic Alter Ego X4 Vintage Echo minimises hassle and maximises tone. 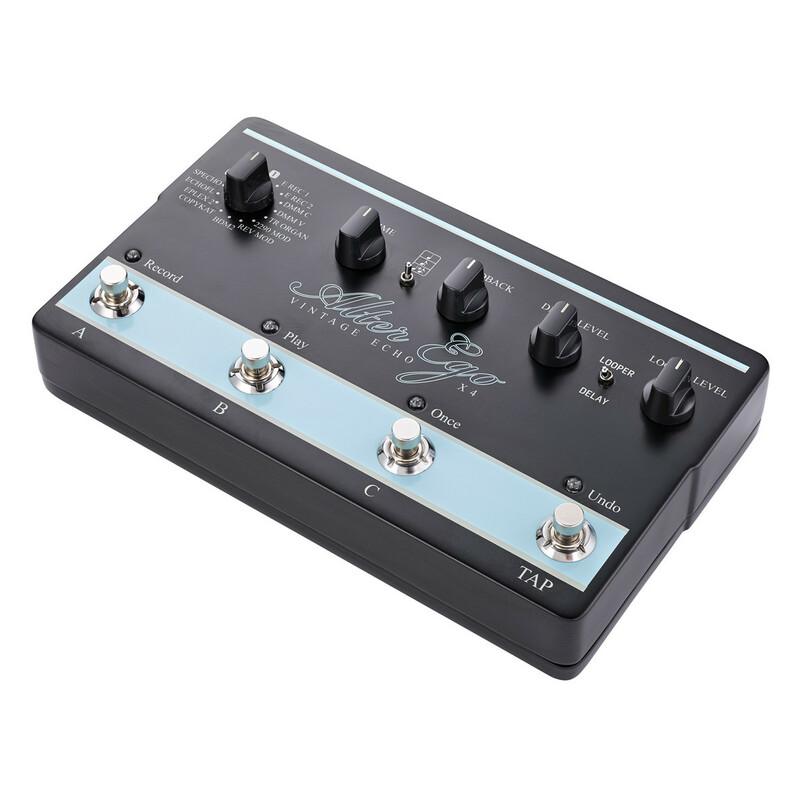 The 12 included sounds and access to additional TonePrint signature tones span the whole range of Delay. This simple to use Delay pedal is ready when you are. 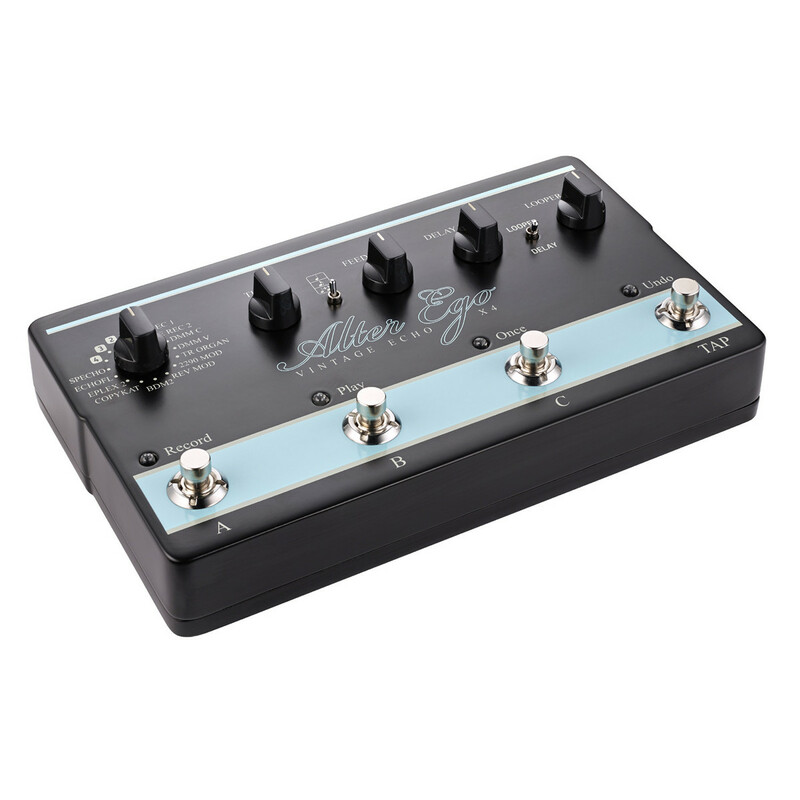 TC Electronic have partnered with American firm ProGuitarShop to create the Alter Ego X4 Vintage Echo. 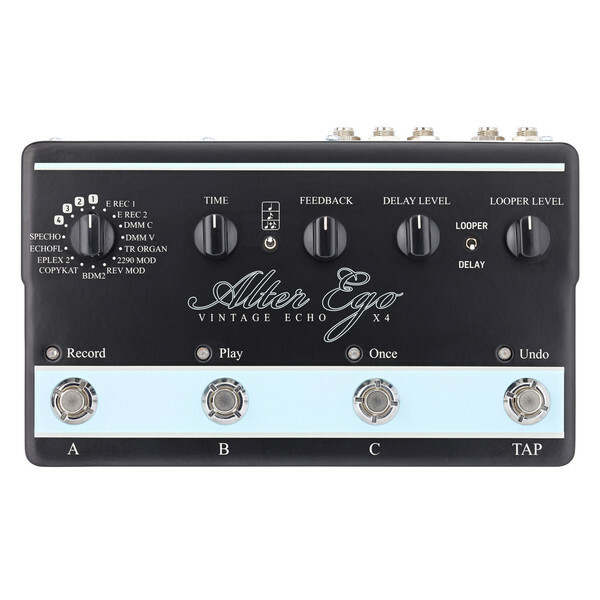 Based on the original Alter Ego Delay, the new model features twelve exclusive, hand-selected Delay tones. From a tribute to the classic Binson Echorec to a salute to the sweet Roland Space Echo, an amazing Echoplex sound and a custom version of TC Electronic?s own 2290. Lo-fi, Hi-fi, Tape, Analog and pristine digital delays ? it's all here. TC's Alter Ego X4 Vintage Echo features 16 delay types, 3 presets, tap tempo and ample I/O options. 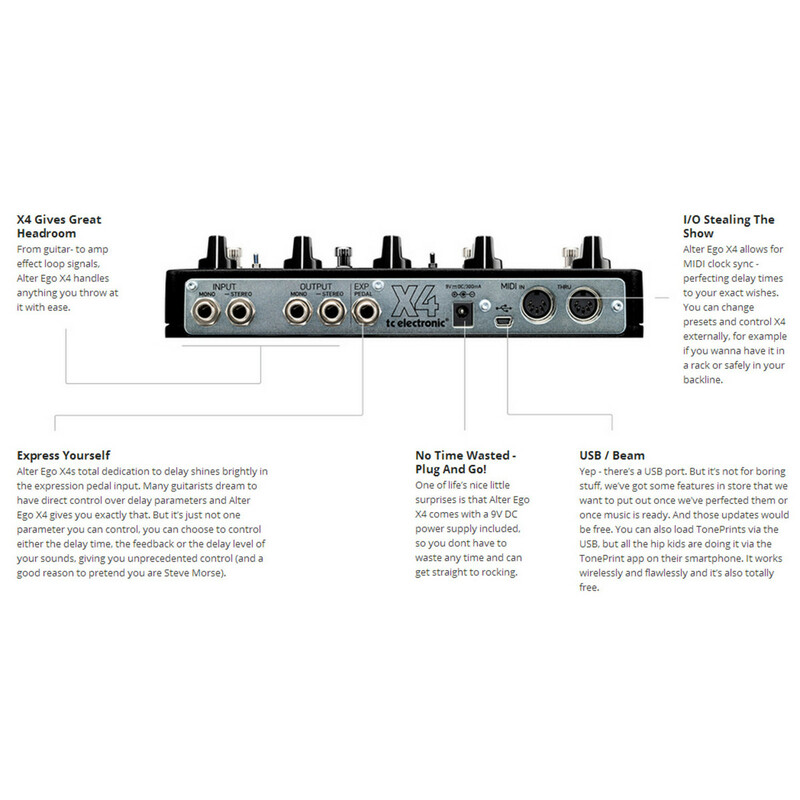 Add this to the exclusive 12 sounds, plus TonePrint and it's easy to see that this is your one-stop for quality delay. TC Electronic's TonePrint allows you to download signature tones made by music's finest via the TonePrint Editor. 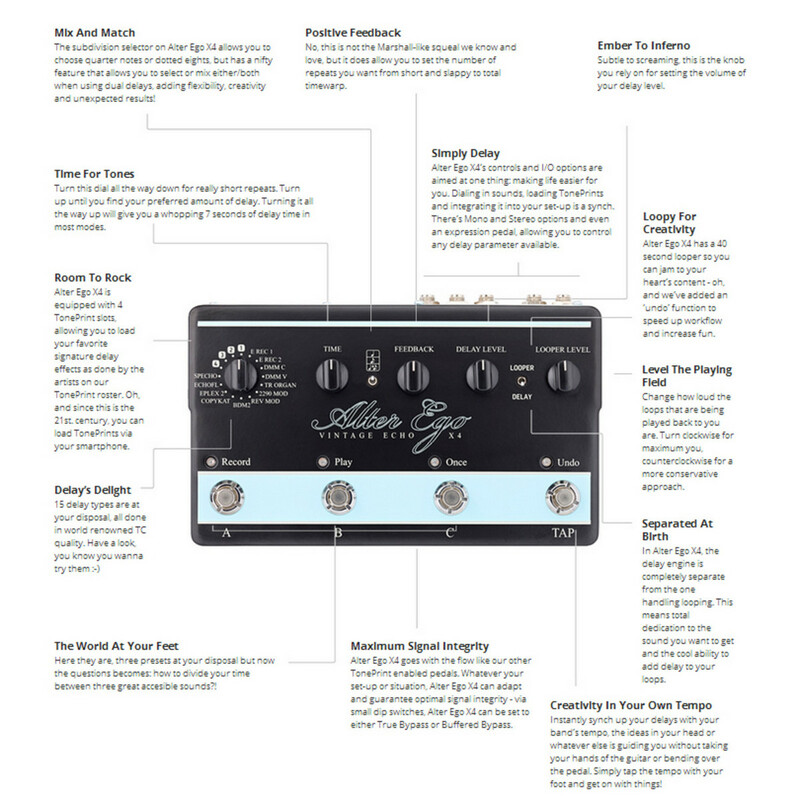 For the full range of tones available for this pedal click here. Pedal simple - don?t read, rock!